With “big box” stores anchoring mixed-use projects in the District and walkable town centers enlivening the suburbs, trends in retail and residential development are changing across the Metro area. “Urban living” is no longer at odds with the notion of the suburbs and developers are increasingly looking to create denser, more amenitized mixed-use centers. At the same time, cities are attracting new residents, retail and cultural amenities, and welcoming traditional suburban uses, including “big-box” retailers. What market forces are shaping these new trends in mixed-use, retail, and residential growth? 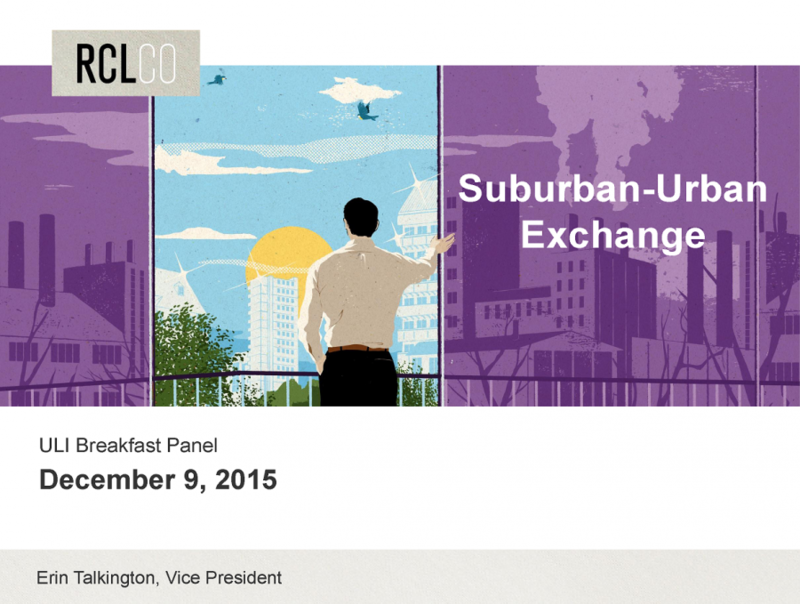 What can urban and suburban developers learn from each other to be ready for these new trends? ULI Washington hosted this informative panel discussion on the evolving relationship between cities and their suburbs and how demographics and retail and residential trendsetters are shaping the future of DC and suburban communities across the DC Metro area.